Bones: Vitamin D supports the maintenance of normal bones. Muscles: Vitamin D supports the maintenance of normal muscles. 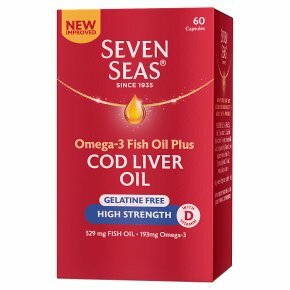 Heart: EPA and DHA support normal heart function. Vision: DHA supports the maintenance of normal vision. Brain: DHA supports normal brain function.Simply Timeless is the classic way to support your body: - Bones: Vitamin D supports the maintenance of normal bones - Muscles: Vitamin D supports the maintenance of normal muscles - Heart: EPA and DHA support normal heart function? - Vision: DHA supports the maintenance of normal vision* - Brain: DHA supports normal brain function* ?The beneficial effect for the heart if obtained with a daily intake of 250mg of EPA and DHA *The beneficial effects for brain and vision are obtained with a daily intake of 250mg of DHA. Dosage: Adults and children over 12 years: Once capsule a day with a cold drink. Do not exceed the recommended dosage. Food supplements are intended to supplement the diet and should not be regarded as a substitute for a varied diet and a healthy lifestyle.